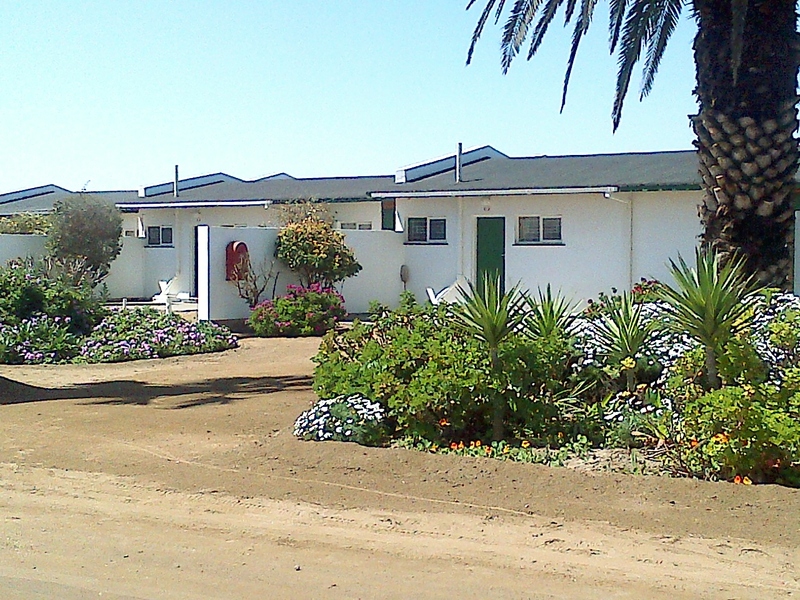 Ideal Holiday Accommodation in Henties Bay, Namibia. Situated on the North Dune, walking distance from the beautiful Atlantic Ocean. We offer Fully Furnished Self-Catering Flats. The Resort is situated in Rob Street, on the North Dune of Henties Bay (walking distance from the beach). Come and enjoy all that Henties Bay has to offer. Flats: One Bedroom: Sleeps 3 (one double and one single bed or three single beds) Two Bedroom: Sleeps 5 (five single beds) Three Bedroom: Sleeps 6 (one double bed and four single beds) All our flats are equipped with the following: Linnen Fully Equipped Kitchen Flat screen & DSTV (MNet, Movie Channels, KykNet, SuperSport etc) Private Braai Facilities Lock Up Garage & Parking Night-Guard Alarm Bring your own towels, amenities and folding braai grid.